Many people have heard about fluoride before, whether at the dentist’s office, on a toothpaste advertisement, or another source. However, few know why it is vital for dental health. Demineralization occurs when plaque and bacteria erode protective tooth enamel, which can lead to tooth decay. If left untreated, tooth decay can eventually lead to tooth and bone loss. Fluoride is an essential mineral that helps with remineralization, a process that combats demineralization by restoring the minerals necessary to maintain strong enamel and a healthy smile. While fluoride is especially crucial during adolescence, we at Gum Dental recommend it to all of our patients, regardless of their age. Patients who are at a higher risk of tooth decay may want to consider a professional fluoride treatment to boost remineralization. We offer fluoride treatments that involve applying fluoride-concentrated varnish directly to the teeth. 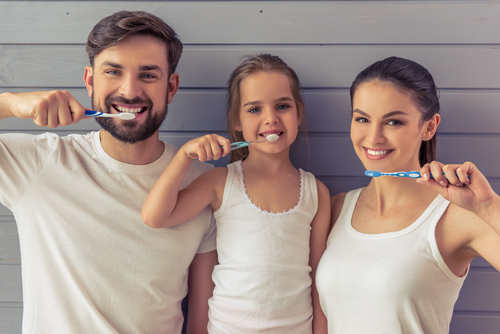 We also offer other preventative care services, such as dental exams and cleanings, to identify dental conditions in their early stages and preserve the integrity of your teeth. To learn more about fluoride treatments or other dental services, please call 610.746.0488 and schedule your consultation at Gum Dental today.